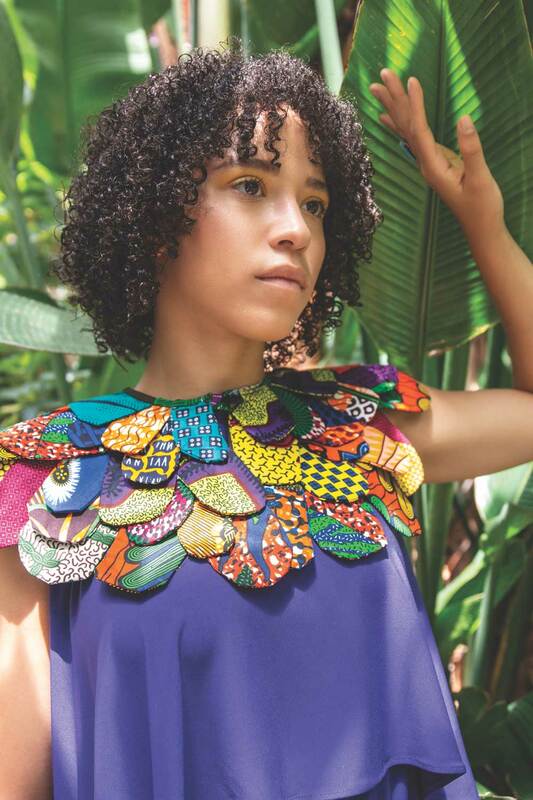 Known for her prowess as a songwriter and tradition bearer who performs with “the skill of a folk-circuit veteran” (Rolling Stone), Grenadian-Canadian artist Kaia Kater took a decidedly different direction for her new album, Grenades, out October 26 in partnership with acronym Records in Canada and Smithsonian Folkways Recordings world wide. What started out as a search to discover the roots of her identity became a physical and emotional exploration of history, in particular her paternal ancestry, and has led to bold new heights of imagination and creative expression. Kaia grew up between two worlds: one her family’s deep ties to the Canadian folk music scene; the other the years she spent soaking up Appalachian music in West Virginia. Her father grew up in Grenada, fleeing to Canada in 1986 as part of a student exchange program young speakers program, after the U.S. invasion. His voice can be heard recounting those events during the album's interludes — a way for Kaia to tie her present with his past, in order to understand our current global climate of war, unease, immigration, and displacement. On Grenades, Kaia revisits the past in songs like “La Miseère” and “Grenades”, looks to the future in “Poets Be Buried”, and touches on the present in “Canyonland” and the first single “New Colossus” which is available to stream today. Born in Montreal, raised in Quebec and Manitoba, and now based in Toronto, Kaia studied Appalachian music in West Virginia and dove deep into old-time banjo music on her previous releases, including 2016's award-winning Nine Pin. For Grenades, she took a decidedly different direction, choosing to lean into a wider array of sounds and styles, in order to convey a wider array of emotions and topics, most notably her paternal ancestry. To explore the varying facets of her sound, she partnered with producer Erin Costelo in Toronto to create a musical aesthetic that pulled from more than just the Appalachian influences of her past past musical efforts. Artists like Aoife O'Donovan and Daniel Lanois figured prominently in the artistic vision. It’s a sound that starts in Grenada, moves through America, West Virginia, and travels into Quebec. It’s the sound of an artist forging a new path into the future, while holding her history close. Grenades tells stories of courage and uncertainty; it is an odyssey reflecting on the nature of personal identity, memory, family –— and how sometimes a person must travel across the world to find out where their home is.